For our next course on Interoperability, we are excited to announce we are joining with Snøhetta and Håvard Vasshaug, the specialist that worked on developing the systems of communication between platforms for the headquarters of Banque Libano Francaise in Beirut which, thanks to Snøhetta will be the base project for this course. 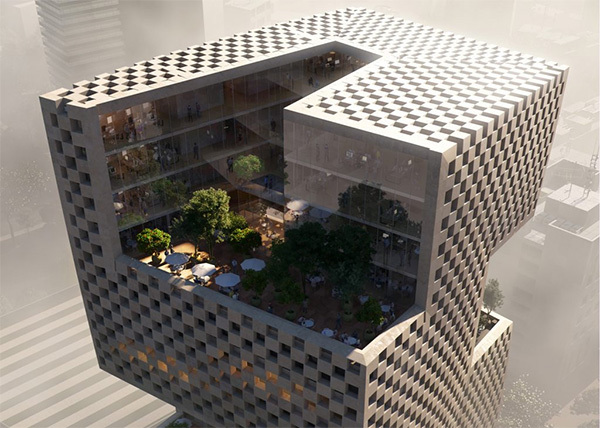 This course will cover basic interoperability between CAD and BIM systems Rhino and Revit, as applied to the design process of Schematic Design deliveries from Snøhetta on the new headquarters for Banque Libano-Française (BLF) in Beirut, Lebanon. The design team had more experience with CAD than BIM, and some of the facade and landscape was designed with non-standard geometries. At the same time we needed to coordinate the placement and nature of building data in a synchronized database both in-house and with collaborating architects and engineers. Therefore it made total sense for the team to work with both systems. We hope you enjoy learning about our design processes as much as we enjoyed developing them! Schematic Design Phase; 1:200 and 1:250 outputs. No very detailed geometries. Elements that this course will cover. This chapter will cover setting up the most important file settings, like file formats, units, coordinate systems, orientation and export settings. 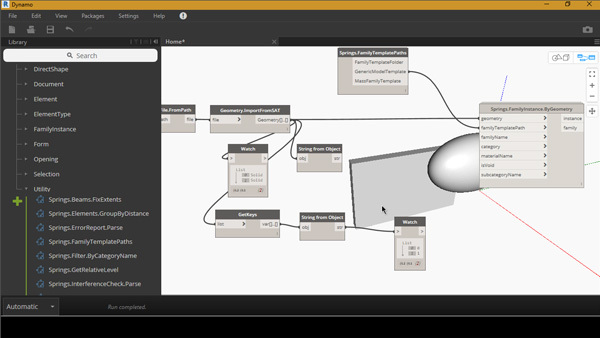 This chapter covers basic export settings from Revit to DWG, setting up export views and how to bring geometries into Rhino using layers and work sessions. 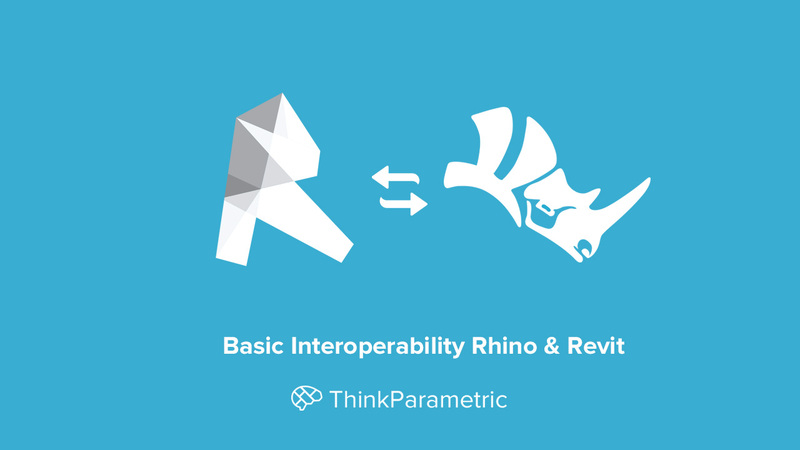 In this chapter, we bring breps from Rhino to Revit using 3DM and SAT CAD Import. We look at how we can interact with the imported geometries and how we can display them in different ways, mimicking the behavior of materials. 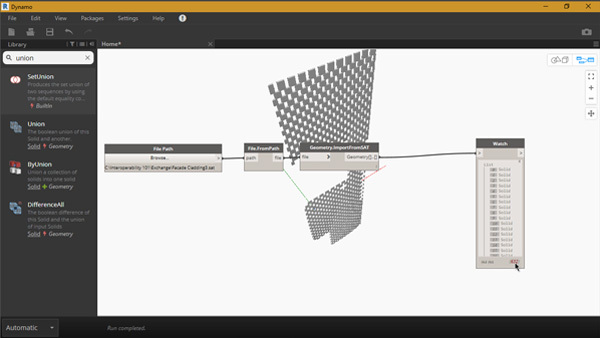 In part two we introduce the concept of automated import of Rhino geometry in Revit with Dynamo and Spring Nodes. 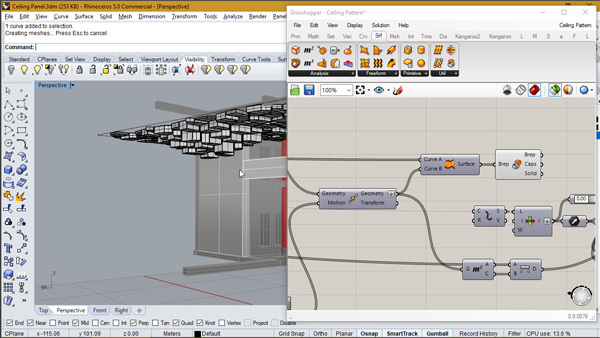 These scripts will auto-import SAT-files and make Revit families from them. In this chapter we apply the methods we learned about importing Rhino geometry to Revit in the first chapters by bringing in the facade structure, insulation, glass layers, frames and roof, and making them look good on 1:200 and 1:250 drawings. In this chapter we apply the methods we learned about automated import of SAT geometry with Dynamo by mass-importing the double-curved stone claddings on the cover of the facade and displaying them nicely in Revit. In the final view-only chapter we talk about content for future work in the realms of live linking data between the visual programming interfaces of Rhino and Revit, and how these methods can be used to automatically create and manage vast amounts of BIM elements and data from parametric design. The showcase looks at an iteration of the auditorium ceiling on levels 3 and 4, an iteration that was later discarded. UPDATE:This course will is now available at your library .